On Saturday January 13, 2018, the Southern Food & Beverage Museum hosted “Financial Resources for you Culinary Business,” a seminar to educate and connect aspiring culinary entrepreneurs, New Orleans area financiers, and small business developers as part of NatFAB’s month of entrepreneurship in January. As part of the Paul C. P. McIlhenny Culinary Entrepreneurship Program, this seminar showcased organizations dedicated to helping aspiring entrepreneurs in finding their way through the complicated legal and financial hurdles of running a business. Saturday’s speakers included Kristine Kreveling, Food Program Manager at Propeller; Dianne F. Sclafani, Culinary & Food Service Business Development Consultant at the Louisiana Small Business Development Center; Haley Burns, Executive Director of Fund 17; Lynette White-Colin, VP of Small Business Ecosystems Development at the New Orleans Business Alliance; Tyler Sangermano, Food Incubator Manager at Roux Carre; Scott Aiges, Director of Programs Marketing & Communication at the Jazz & Heritage Foundation; Klassi Duncan, Director of the Urban League Women’s Business Resources & Entrepreneurship Center; Patrick Morin of Morsel Law PLC; and Pepper Bowen, esq. 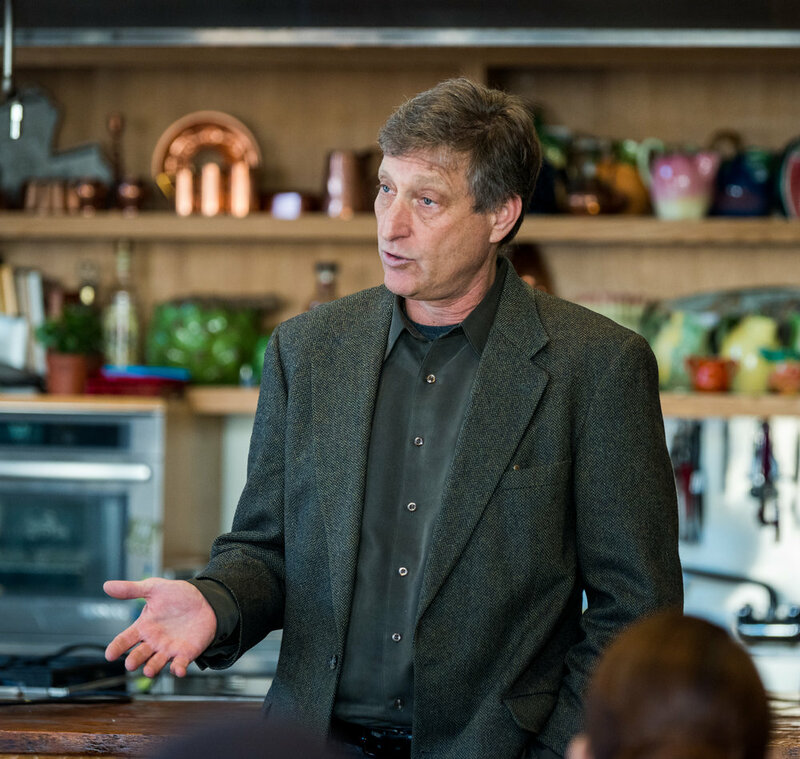 of NatFAB’s Culinaria Center for Food Law, Policy, and Culture. Despite the frigid winter temperatures, several entrepreneurs and aspiring entrepreneurs, even from as far away as Baton Rouge, arrived to learn and meet with the presenters for a one-on-one consultation regarding their business ideas. Even the presenters enjoyed this unique concentration of small business professionals to learn about new opportunities and partnerships that their organizations can form to help the area’s next generations of entrepreneurs prosper. It was a successful afternoon of new and experienced people coming together to connect and learn from each other. “Financial Resources for Your Culinary Business” was a successful beginning to our 10th Anniversary year of events and programming. Over the next year SoFAB will be hosting and announcing a variety of programs, events, and new resources to celebrate this landmark year for us all. Stay tuned to get the latest information on new entrepreneurship programs and more from the Southern Food & Beverage Museum.